TOA Volunteers View: Truth, Democracy & Cinema | Take One Action! A Volunteers View: Take One Action volunteer, Jamie Wills takes a look at this years programme and how it connects to the conversations about democracy, “fake news” and individual action being had today. The internet was supposed to democratise news. And, in a way, it has: the public’s ability to dump content and comment online is a powerful, if often mean-spirited, tool. Yet amidst this flow, beyond the eddies that form around minor celebrities and hashtag justice, primary evidence is often lacking. Alternatively, and arguably worse, a single spot of primary evidence exists and is extrapolated to prove a supposed universal truth; the proverbial little knowledge being a dangerous thing. From here bloom populism, tribalism, distracted liberalism and punishing nationalism. None of these are known friends of democracy. We, now the audience and the creators, need better standards, both in our digestible reporting and willingness to believe. This means more primary evidence, and less pathos, in our understanding. Some trends may need reversed, such as the declining interest in court reporting despite jurisprudence governing the country (even allegedly being the cause of the Brexit referendum). Other ideas could be embraced, in particular seeking out on-the-ground voices yet demanding depth behind any claims. Activism grows from exposure; practical change, rather than mere howling, comes from intelligent activism. 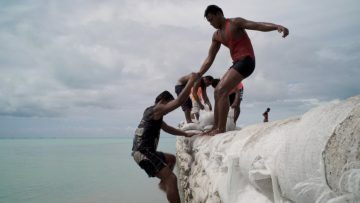 As rising sea levels threaten the low-lying Pacific nation of Kiribati, its president, Anote Tong, spends his last days in office desperately seeking international help to save his homeland from being swallowed by the sea. Faced with the destructive reality of climate change, however, some of his people are already forced to seek a new life thousands of miles away in New Zealand. This stunning portrait of paradise on the brink offers a powerful call to act while we have the chance. 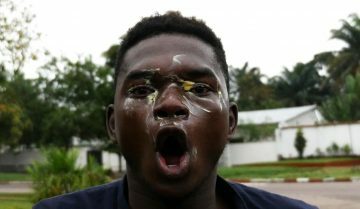 Christian, Ben and Jean-Marie are young activists fighting for free elections in the Democratic Republic of the Congo. As the incumbent president runs rough-shod over the nation’s constitution and continues to refuse to relinquish power, they grapple with how best to support their country. Director Dieudo Hamadi chronicles their rebellion, doubts and anger, offering a no-holds-barred observation of the inevitable clashes between idealism and pragmatism in the face of brutal oppression. A soft-spoken Kildare cattle farmer embarks on a reluctant battle for land rights in this beguiling, lyrical documentary. Thomas Reid’s neighbour, U.S. microchip manufacturer Intel, has its eye on his land. Despite mounting pressure from Intel and the Irish authorities, the farmer refuses to leave his ancestral home. Faced with a compulsory purchase order, he takes his fight against eviction all the way to Ireland’s High Court – proving a formidable, unlikely David in this fight against a mighty Goliath.